Original and traditional blues, folk and roots music on 6-string, 12-string and bottleneck guitars; mandolin and fiddle. 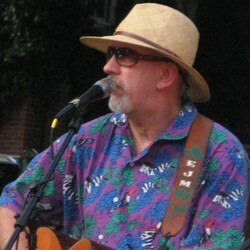 Play solo or with long time partner Mike Fischman as the Folk Support Group. We add drummer/percussionist Joe Lambiase as Jimmytown Juke and sometimes I work with just drums as McMojo.